Jennifer Evans is an intelligent and driven woman who has accomplished what only 12 other people in Missouri have achieved. She has graduated from the Government Finance Officers Association (GFOA) as a CPFO (certified public finance officer). The self study program is an extensive and difficult course covering five different exams in public finance. This is such an intense course students are given seven years to take the five exams which cover Governmental Accounting, Auditing, and Financial Reporting, Cash Management and Investments, Debt Management, Operating and Capital Budgeting, and Pension and Benefits, Risk Management and Procurement. Before she could begin this arduous task, she had to have a Bachelors degree and three years in government accounting. The tests are given in the spring, summer and fall and provide no study guides or curriculum, only recommended readings. Jennifer started the program in the fall of 2014 and her first test of 175 questions covered the book, Governmental Accounting Auditing and Financial Reporting, which was over 1000 pages long. She studied for six months before taking the test. She was told it was very difficult and not to get discouraged if she failed. Jennifer proudly passed the test the first time and went on take a test a semester, passing each one the first time. This is a major accomplishment requiring weeks of study before each test, and she was able to graduate in the spring of 2016. Now, Jennifer, the mayor, council and city can have confidence the finances of Cassville will be handled correctly and efficiently and the audit will be completed with no problems. What started Jennifer on this path to success? She graduated from Southwest Baptist University in Bolivar with a Bachelors degree in Mathematics. She taught school for a few years then took time off to raise her children. 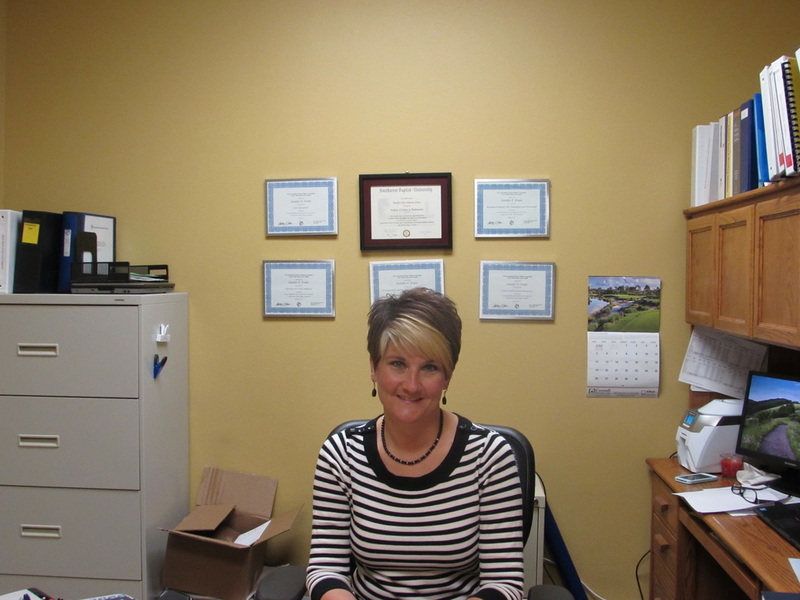 She then worked part time for 13 years in the banking business before taking the job of city clerk in April 2013. In 2014, she was promoted to the position of City Clerk/Finance Officer. At this time, she had no accounting background and knew she needed this knowledge to successfully perform her duties as a finance officer. Government accounting is completely different from the private sector, which led her to the GFOA. Now upon graduating, she only has to participate in 30 hours of continuing professional education each year to maintain her designation. She is very grateful to the mayor and council who encouraged and supported her throughout this program. She could not have done it without them. Evans lives in Cassville with her husband, Daron, and their three children, Jaci, Pace and Jolie.